The first hybrid white marigold. 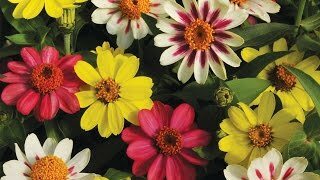 Extra vigor makes the 24" plants bushier, healthier and capable of bearing many more flowers than our earlier open-pollinated varieties. Long lasting, odorless blooms up to 3" across, make a stunning low hedge. A refreshing contrast to bright summer colors. Great for cutting. Marigold, French Vanilla Hybrid is rated 3.3 out of 5 by 16. Rated 2 out of 5 by Beach bum from Disappointed I bought these in the spring of 2018 and started them indoors. I thought they were the same variety that I bought from master gardeners, they year before. I purchased these at Walmart and they were very tall and leggy and not very white. The plants from the first year were very full. These had less flowers. Rated 5 out of 5 by Herbie from Beautiful Cream Color All the seeds I planted sprouted and have produced beautiful creamy flowers. They are very tall (should have paid attention to the description!) so I might buy a different variety next year, but I am pleased with how they look and the number of flowers on each plant. Rated 1 out of 5 by Snav21 from Don't Buy I purchased two packages of these seeds and neither two were able to provide good healthy plants. Out of the seeds that I sowed this year, this variety was truly disappointing. Rated 4 out of 5 by MrsH3 from Love these flowers. Second year growing this flower. We always love our white marigolds, these were some of the first seedlings to sprout for my boys, most survived the transplant outside, but then died back during some heavy storms. The little plants came back a few weeks later full force and we have been enjoying them for about a month now. Rated 5 out of 5 by Tammi from gorgeous huge bushy healthy plants covered in blooms even though I haven't been deadheading! Rated 3 out of 5 by Hottea115 from Not a white marigold Please do not order these if you are expecting a white marigold. They are most definitely NOT white. They are not as yellow as your standard marigold but definitely have a yellow color, similar to the color of butter. Very pretty, easy to grow, and we will enjoy them but will not order again. I specifically ordered because of the "white" color. Disappointed in that regard. Rated 1 out of 5 by Shimmyglider from Yellow and Orange! My other negative review disappeared so I'll try again. Planted the whole pack in several trays. They came out in various hues of yellow and orange, not ONE white on in the bunch! I also bought the snowball marigolds, I hope they don't disappoint like these did.